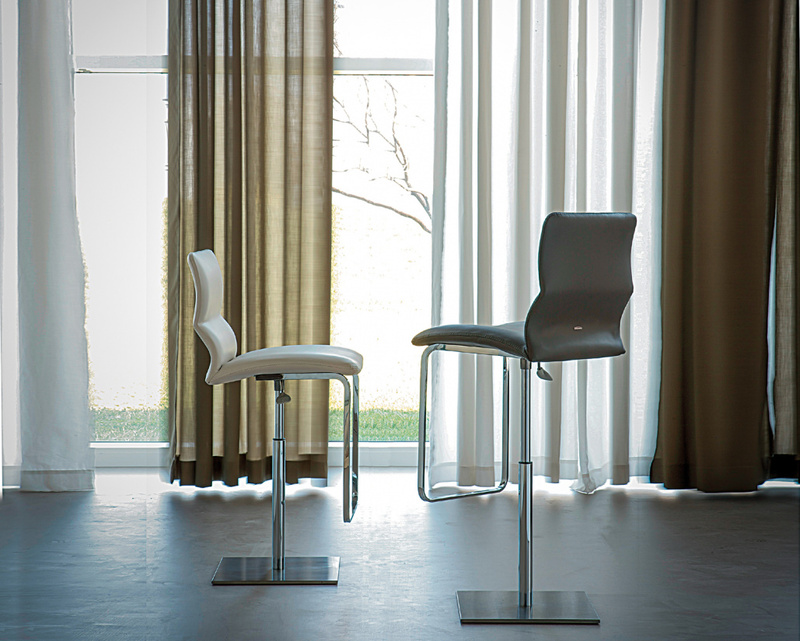 Eye-catching and comfortable gaslift bar stool designed by Alessio Bassan. 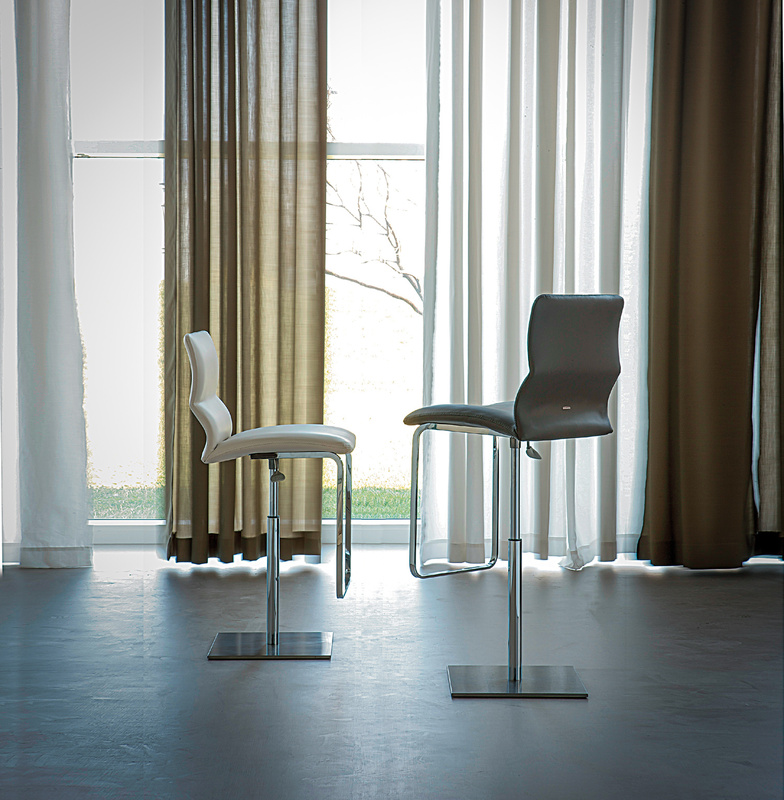 As well as being height adjustable the Vito swivels and these facets allow it to double as a counter stool. The stool features a square chromed steel base and a frame that can be upholstered in a large number of fabrics including soft Italian leather or eco leather.